More in our event archive. And Bill & Liz's 2016 Baltic and 2015 Croatia tours. Other Worlds: 28Jan2011 - Yellow Kiwi! Digressions: A cool place to ride! News Topics: Congrats, Social, Rights of Way, Next Events, Previous Events, History, Articles. :: Wyegate Entry. Now Ride With Mate! :: Boxing Day Trial - Final Results. :: 2019 Membership Due Now! :: 2018 E&R Champ's - Vess Toppled! :: 3 New Tours - Scotland, Baltic & Croatia. :: Meetings Now Start 8:30pm! Rights of Way: You are all aware of the major changes that have happened, but making sense of it all is a bit daunting. The best bit of info on the web at present is at LARA's pages. Here is our own RoW Page. Some of our previous events: We now have an index for previous events and other club's events we've been out to... If it is not linked from there then it probably will be if you look on the Events calendar against the date the event was held. 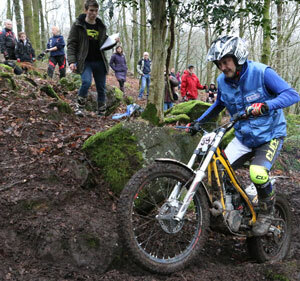 History: We've always had a good range of riders in the club capable of riding challenging Endurance events. Way back at the formation of this club Enduros were classed as Reliability Trials. 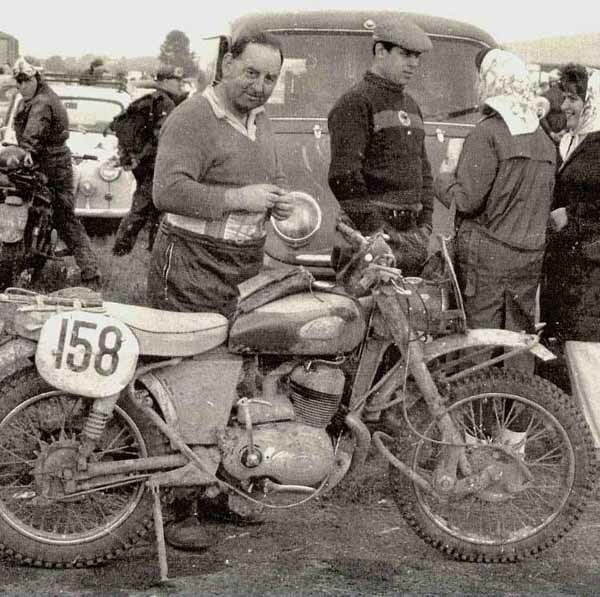 Here is a shot of a founder member Wilf Parker at the Ultimate Reliability Trial - International Six Days Trial event of 1961. And now you can see the original programme for 1961 thanks to ex-Wyegate rider Bill Kershaw, who also rode that year, on the excellent SpeedTrackTales website. Bill sadly retired but our local hero Wilf Kept his 250 Greeves going for all 6 days earning a Bronze medal. Read the report and results in the Motor Cycle. Our main History page will give more links to club history. Articles: Articles We have Touring in Australia on a big trail bike by Clare Bishop. A series of Euro Tours from Bill and Liz. A mileage epic with an Africa To Alaska by Jason Bennett. 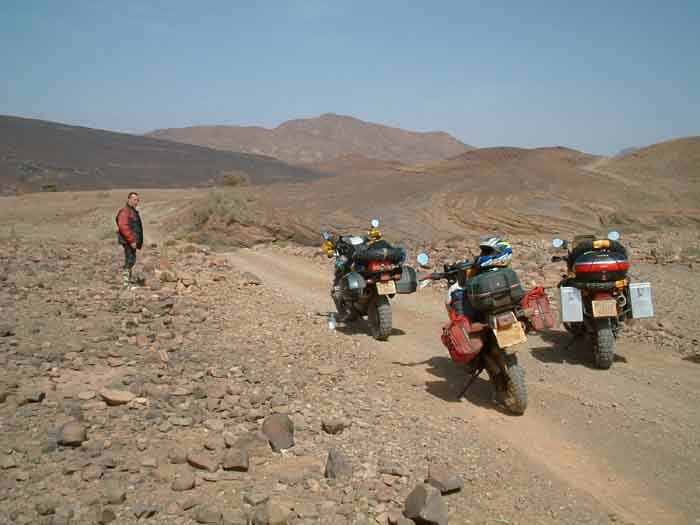 An Epic Adventure to Morocco with Vess, Jules and Taff. Weston Beach Races, with Vess, World Championship Sidecar Racing with Ian Hannam. Also lots of Trail Ride Reports. This website is always tested with Firefox and will always be safe for young children to read and view as far as we are aware. (I hope they don't pay too much attention to the punctuation and grammar though!) The views expressed by our contributors are not necessarily those of the Club. Please respect copyright on any text or images from this site, just ask first.